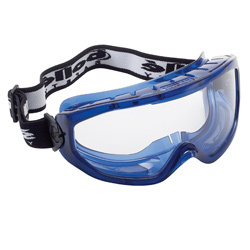 Please note we have limited numbers of stock of these goggles available in this style. This model is being replaced by the Superblast goggles. Please purchase quickly to avoid disappointment. The Blast is an especially versatile goggle due the fact it is available in both sealed and ventilated versions with lenses that provide full UV protection for outdoor use. They are rated to resist category B impacts at extreme temperatures including hot solids and molten metal. It can also be used in conjunction with a visor to become a full face shield. See our Face Shield section for more details. We have both a ventilated and sealed frame available. 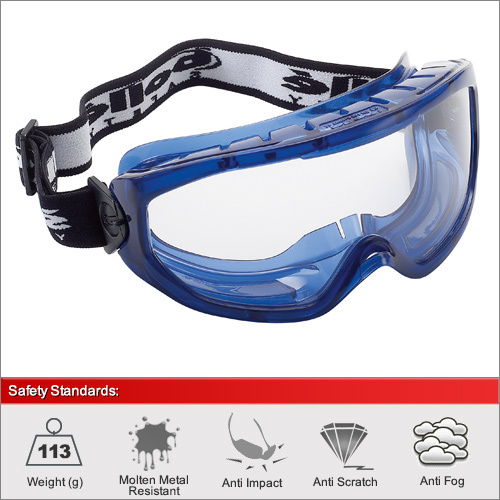 The ventilated version has better anti-fog capabilities and is EN166 category 3 rated for protection against liquid droplets. The sealed version however boasts the highest specification of all and adheres to categories 3, 4 and 5 for protection against liquid, dust and gas.